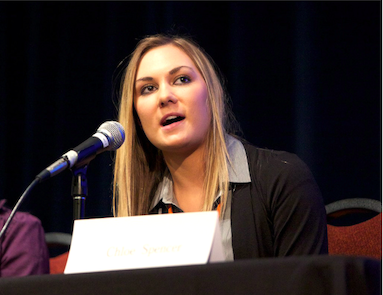 Just last month on May 23rd I was speaking at SMOC (“Social Media Optimization Conference“) in San Francisco, on yet another young entrepreneur panel! The session was called “Teen Entrepreneurs Give the Inside Scoop on Social Media”, flanked by fellow panelists Daniel Brusilovsky, Benjamin Goering, and Shreya Indukuri. It turned out a great crowd, around 300-400 people, and we had lots of questions and not enough time! There I met some great people that were particularly memorable and inspiring, such as Hyla Molander, author and speaker and overall amazing woman with one of the most inspiring life stories you’ll ever hear, and Evan Bailyn, fellow internet entrepreneur, SEO expert, author, and creator of the Evan Bailyn Foundation. So overall SMOC was a really great experience, and one I’d definitely do again! Many thanks to Stewart Quealy for having me speak and running the show, as well as moderating our session!